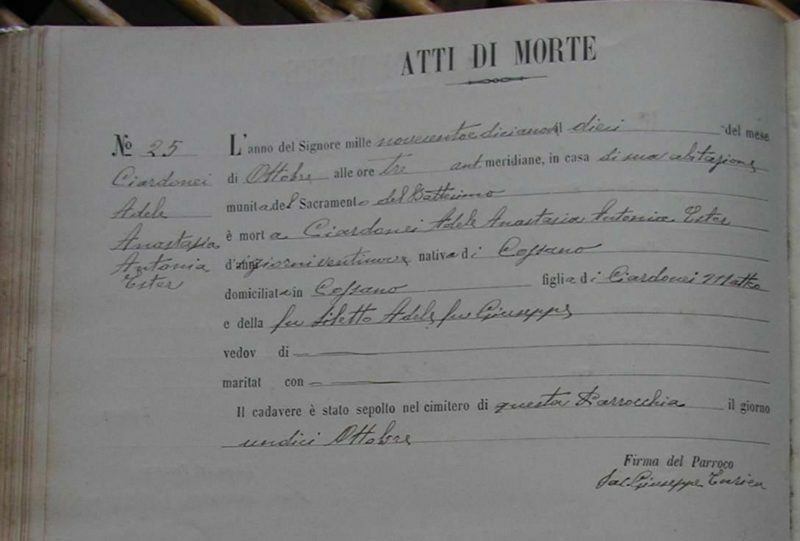 Last week I wrote a post about finding the death certificates for my Grandfather’s cousins. You can read their stories here and here. This weekend I followed up and looked for the gravestones of the children on www.findagrave.com. 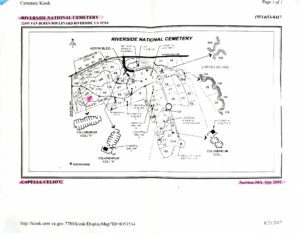 Using the cemetery information from the death certificates, I quickly located both children and a photo of their shared grave. 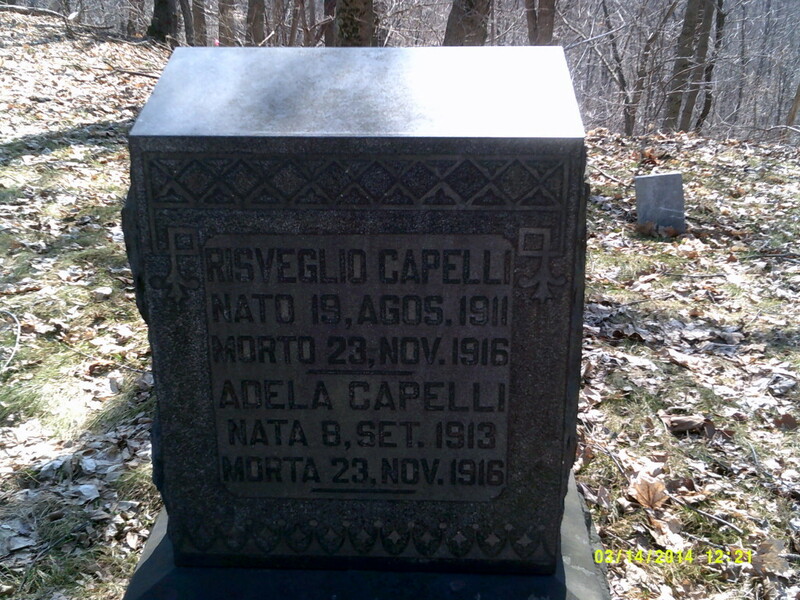 Findagrave.com, digital images (http://www.findagrave.com), accessed 14 July 2014, photograph by Randy Knight, gravestone for Adela Capelli (8 Set 1913 – 23 Nov 1916) and Risveglio Capelli (19 Agos 1911- 23 Nov 1916), Find A Grave memorial #66220248, Redstone Cemetery, Brownsville, Fayette, Pennsylvania. Used with permission from Randy Knight. This photo helps to explain the conflict of first names I have found for the children. To recap, the newspaper article about their death the children are named Elma and Slavelli Cappelli. 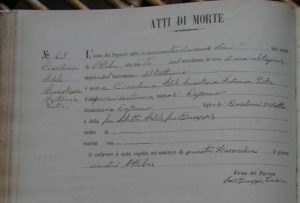 The death certificates list the children as Adela Cofelli and Resveglio Copelli. This tombstone names the children as Adela Capelli and Risveglio Capelli. I have to believe that the names provided in the newspaper account were incorrect. The journalist who wrote the story was on site at an active fire and surrounded by chaos. It is easy to see that the names he acquired were close but incorrect. I also think that language may have been a barrier. I am not sure how much english my family spoke in 1916. Even if they did, I am fairly confident that they spoke with a heavy accent. My grandfather told me how his cousin, Mabel, would repeatedly tell her mother she needed to speak english as they were growing up. The names provided to the Pennsylvania authorities and the gravestone are almost exactly the same. I will be using the spelling used on the gravestones as the names listed in my genealogy software. I will be sure to add a note for the other spellings. The last time I was visiting my parents in Virginia, we spoke about visiting the Pittsburgh area for genealogy research the next time I visit. Now we will be able to stop at the Redstone Cemetery to pay our respects to Adela and Risveglio. Our family recently took a trip to Southern California. It was a mix of work and pleasure. The first day, my husband had a business meeting in Corona, California. While my husband was busy, I took the kids to the next town over to visit my Grandpa. 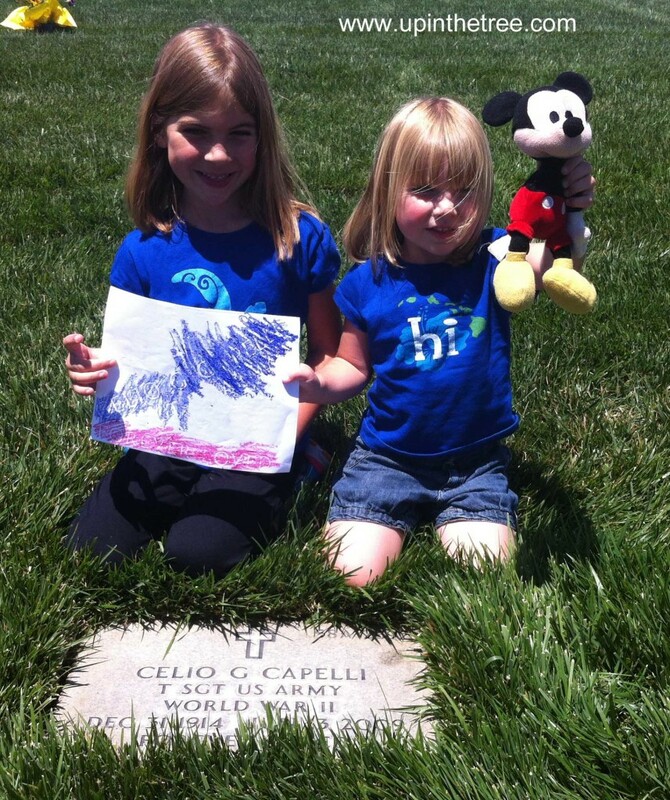 My paternal grandfather, Jay Capelli, was buried at the Riverside National Cemetery when he passed away in 2009. The last time I was at the cemetery was the day my grandpa was buried. When I arrived at the administration building, I was pleasantly surprised to find a computer kiosk outside. I was able to quickly look up my grandfather’s information. 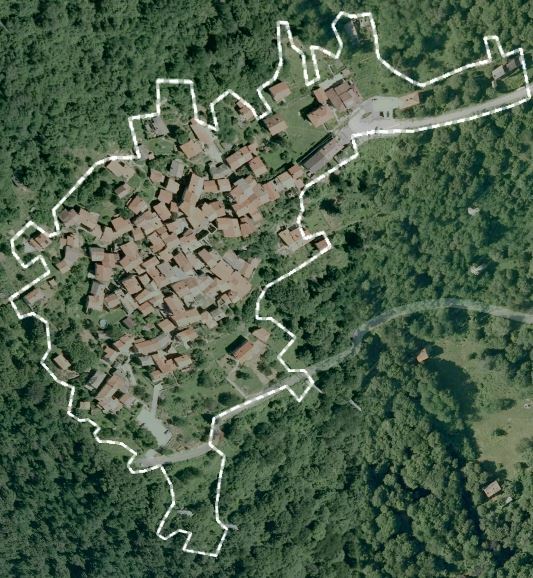 The computer printed a map of the cemetery with the location information on it. Finding the headstone was very easy. I had a lot of fun telling my girls stories about my grandfather. My older daughter was especially interested in the story of Grandpa coming to the United States on a ship when he was 5. My daughter is 5 and had so many questions. The girls were very excited to find out that my grandpa enjoyed camping just like they do. My younger daughter brought her prized Mickey Mouse doll with her. She was mostly concerned that my grandpa knew who Mickey Mouse was. She was thrilled that not only did my grandpa know who Mickey was, he had been to Disneyland (aka Mickey’s house). 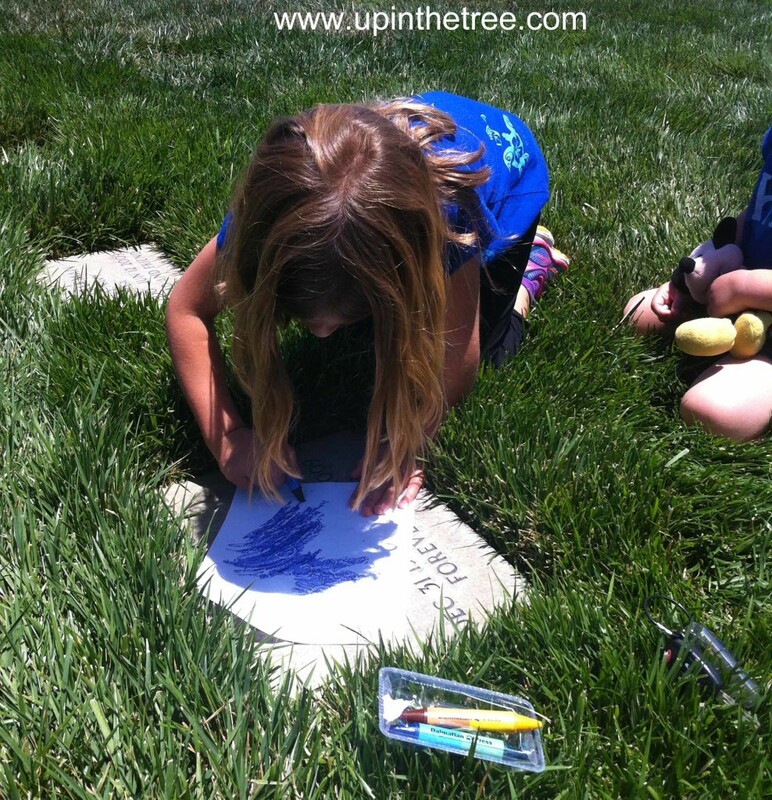 We ended out time with the girls doing a crayon rubbing of the headstone. Working on a crayon rubbing. A wonderful visit to my Grandpa’s grave. Happy Father’s Day! There are many fathers in my family tree and I would like to thank each one for making my being here possible! I want to dedicate today’s post to my direct line of father’s. 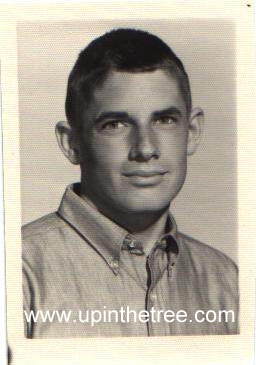 I have been very fortunate to be able to research so far back into my direct paternal line. I used to think this branch of the family tree would always be stunted. 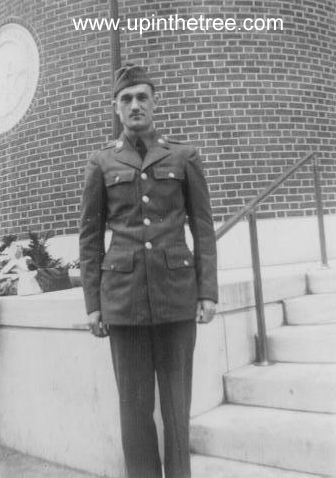 My grandfather came to the United States as a young boy from Italy. My great-grandfather arrived in the United States with Tuberculosis and was almost immediately deported. My grandfather was raised by his Aunt and Uncle who lived in Pittsburgh. I was not sure that I would ever be able to research records in Italy or translate them. You can imagine my geeky excitement when I found a microfilm in the FamilySearch.org collection containing the church records for the very tiny town in Italy my grandfather immigrated from. I have used this data extensively to flesh out this branch of the family. 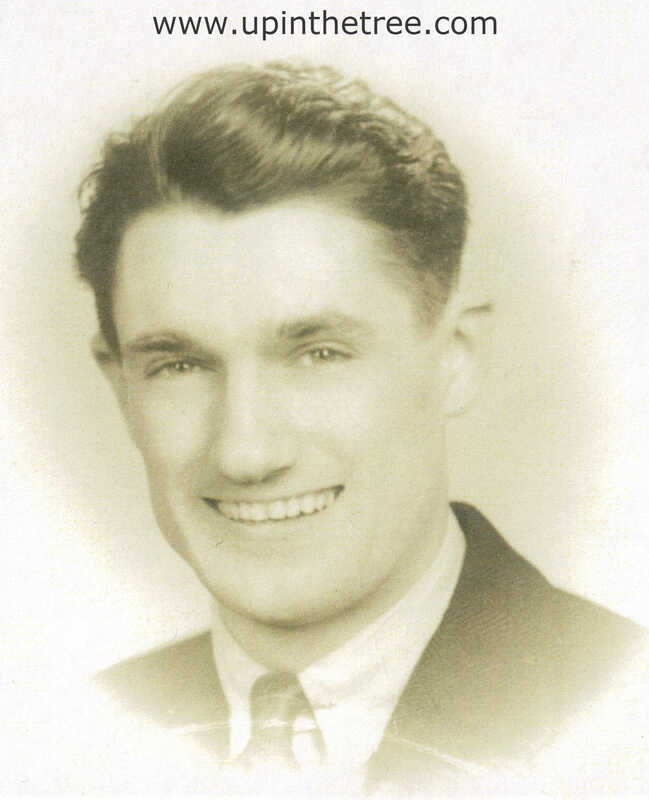 I would love if any cousins shared any photos they may have of my Ciardonei family! I am currently writing a blog series about how you miss information if you do not sit down to analyze the document after you find it. Over a year ago, I found the Naturalization paperwork for Fred Capelli online. I tossed it into my “to be processed” folder while on a downloading binge and let it sit for over a year. Low and behold, this was a big mistake because I had missed several pieces of very important information. 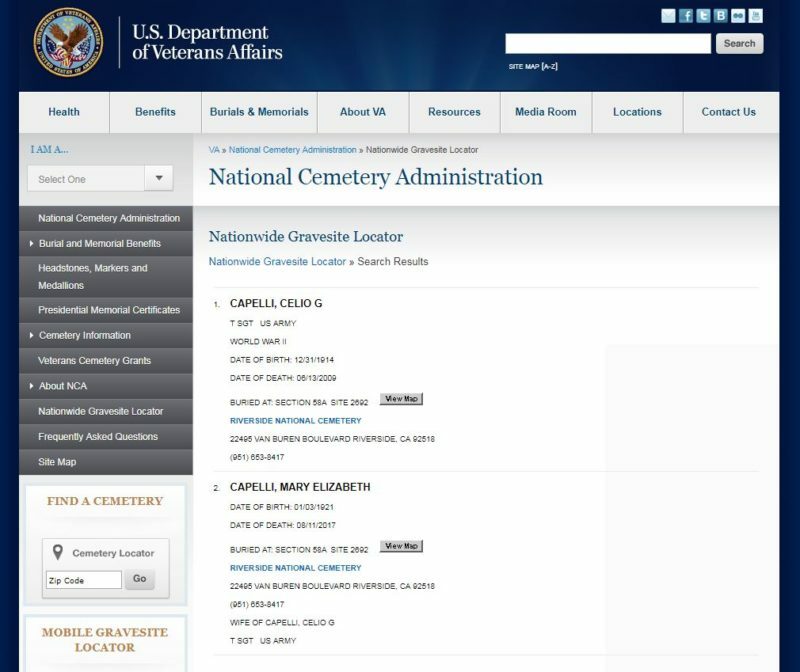 To catch up on the awesome tidbits I missed by not analyzing the Naturalization paperwork of Alfredo (Fred) Capelli, click on these two links: Part 1 and Part 2. The last item in Fred’s Naturalization Petition that screamed “I need attention!” was his arrival in the United States. For years I have been trying to pin Fred down in the Ellis Island records. My problem was I found more than one Alfredo Capelli listed. I needed to figure out which Alfredo was mine. Fred’s Naturalization Petition provided the details I was looking for. Fred left Havre on April 27, 1900 and arrived in New York on May 3, 1900 on the vessel La Lorraine. I am going to make the educated guess that Havre is really Le Havre, France. Le Havre is the second largest port in France and many of my immigrating ancestors have passed through the port there. I followed up by finding Alfredo Capelli in a manifest at the Ellis Island website. Sure enough, there was an Alfredo Capelli who traveled to the United States in 1900. The details are slightly different though. 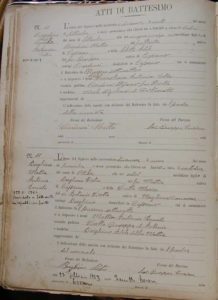 The Passenger Manifest reads that Alfredo Capelli arrived 18 March 1900 on the La Gascogne. It appears that Alfredo may have come to the United States with family. There are four Capelli men listed: Guiseppe, Guiseppe, Alfredo, and Carlo. I do not know if they are brothers, cousins, or a little bit of both. All are traveling to Pittsburgh, Pennsylvania and none are meeting relatives at that location. Each man carried $30 or $40 dollars on them. After doing a little digging, I have to believe the records from the passenger manifest are more accurate than the Naturalization Petition. The answers to the petition were filled in twenty years after Fred came to the United States. I have a feeling he did not remember exactly when he arrived. 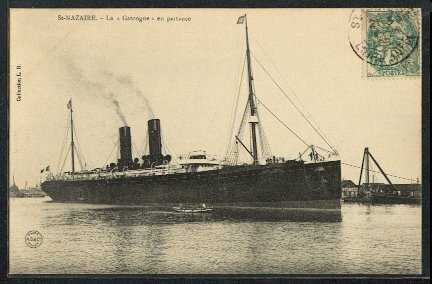 The La Lorraine supposedly arrived a week before the La Gascogne. Also, a little research into the La Lorraine shows that it was not put into service until August 1900. Lastly, the manifest would have had to be handed over upon arrival to the United States when the ship was processed at Ellis Island. I have determined the Alfredo Capelli who arrived in the United States in 1903 is not mine. I do have one other passenger list I have identified. Alfredo Capelli made a trip to Italy in 1930. This time he arrived home on September 10, 1930 as a United States citizen. His passport number is listed along with the family address on Vickroy Street in Pittsburgh. I have been working on cleaning out my “to be processed” folder. This is my bucket for images and digital documents I find online. I recently was looking at the Naturalization paperwork for Alfredo (Fred) Capelli. As I read through the pages, I realized I had missed information about the family by not getting the papers analyzed and filed into their correct place. You can read about the birthplaces of Fred’s children in Part 1. I also noticed that there was other piece of information in the Naturalization Application that was new information to me. Fred’s birthplace was flashing at me with neon red lights. 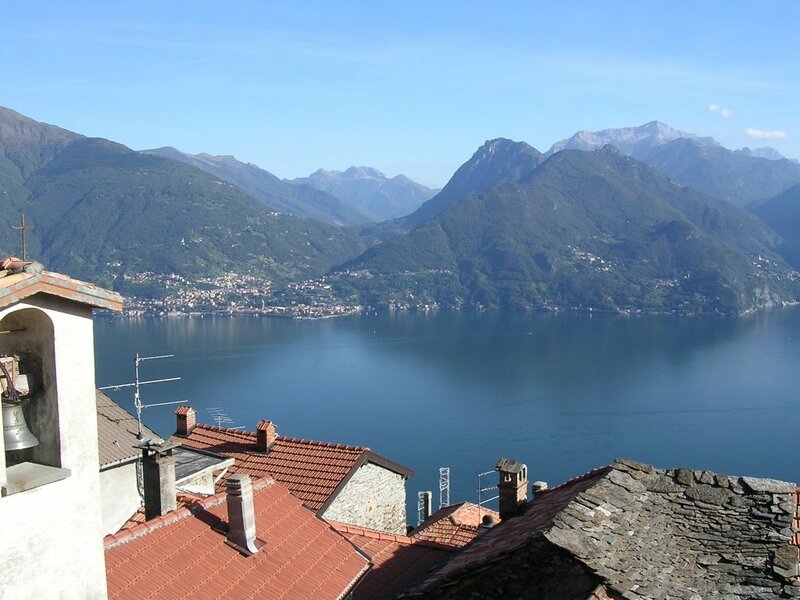 I previously had narrowed Fred’s birthplace down to Como, Italy. Both Fred’s death certificate and WWI Draft Registration paperwork listed his birthplace as Italy. It was Fred’s son, Bruno, who gave me the city. It was listed on his birth certificate. 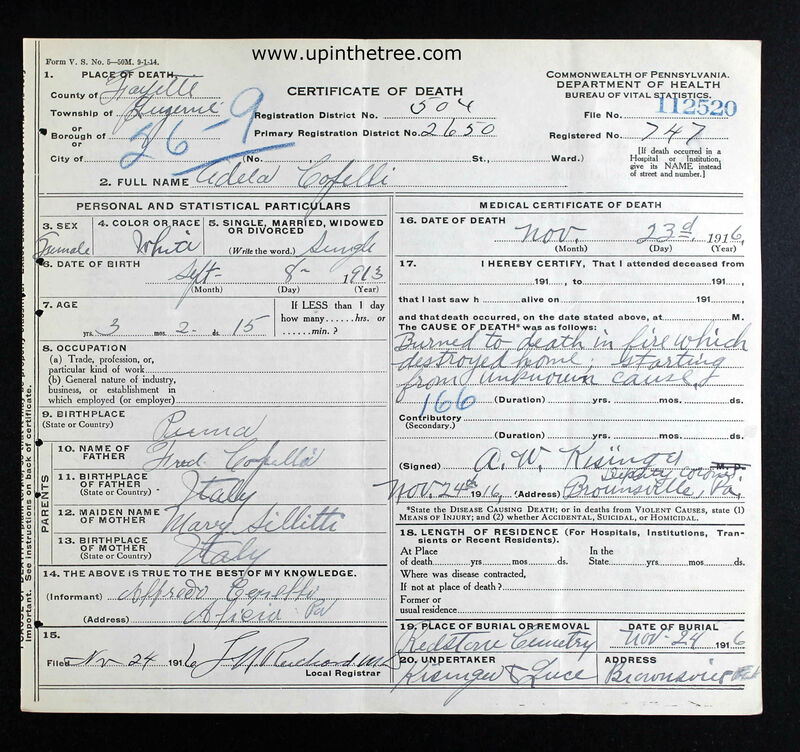 The birth certificate was filed in 1926 (Bruno was born in 1909). Bruno obviously needed a birth certificate for a reason. I made the deduction that he must have received the information about the birthplace from his father. 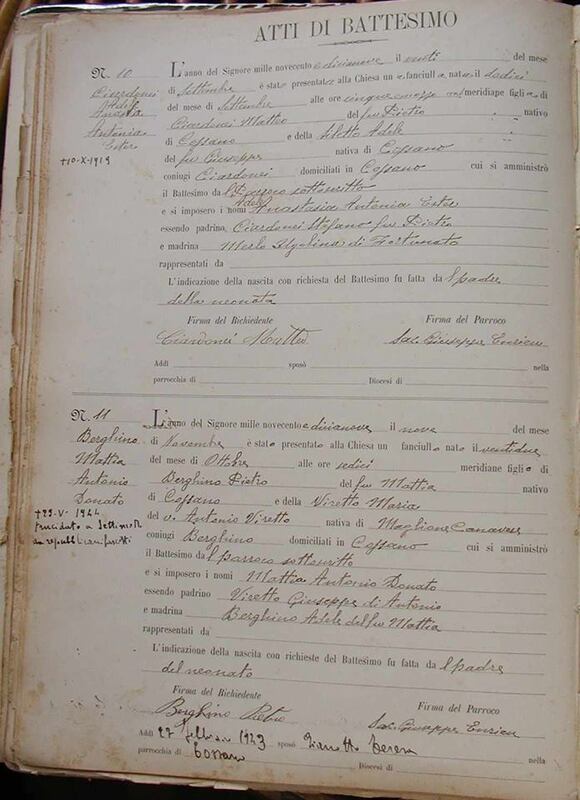 The Naturalization Application lists Fred’s birthplace as Carcente, Italy. A quick Google search reveals that the birth certificate was not wrong. Carcente is a small hill town located in the province of Como above Lake Como. 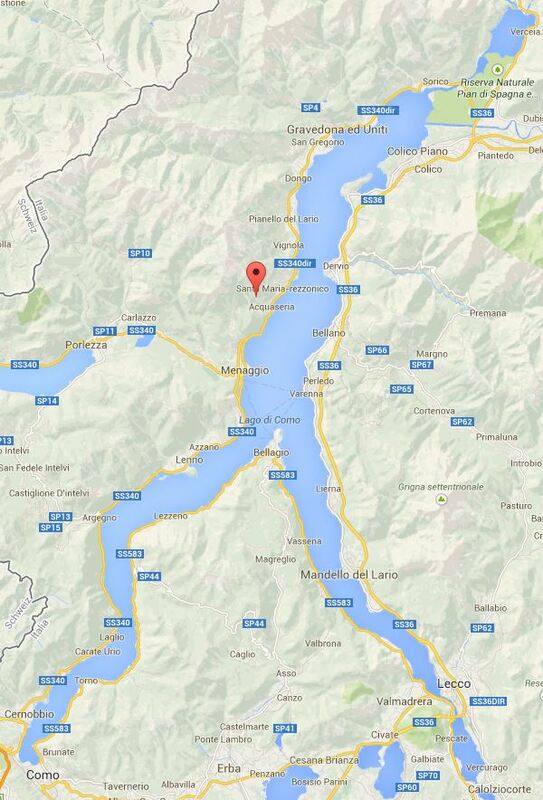 Map of Lake Como. 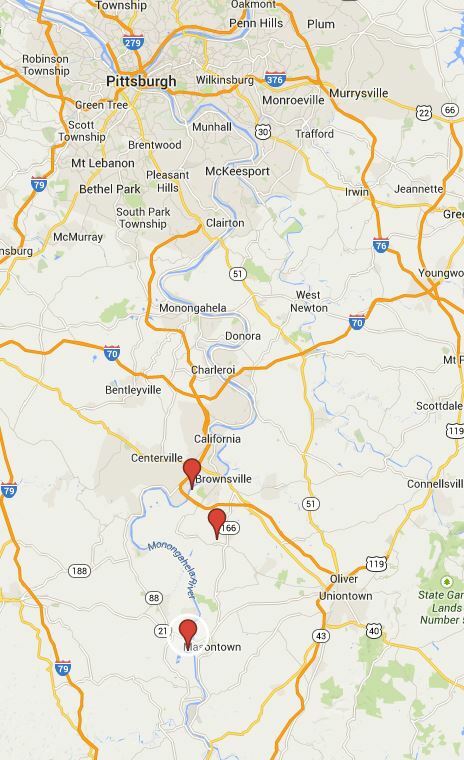 Carcente is marked with the red pin. 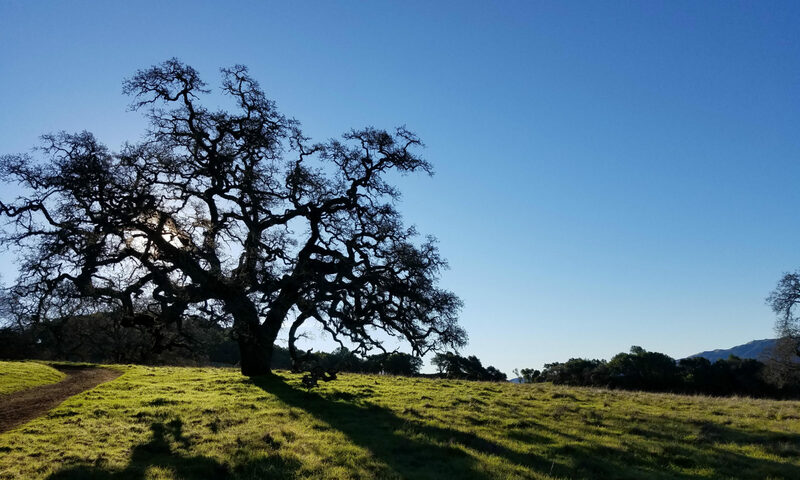 I have been trying to imagine what life must have been on the side of that hill in the late 1800’s. It is a steep hillside so there could not have been much farming. Fred must have had very little prospects of a good life in Carcente if he felt the need to travel 4200 miles to the coal mines outside of Pittsburgh, Pennsylvania. 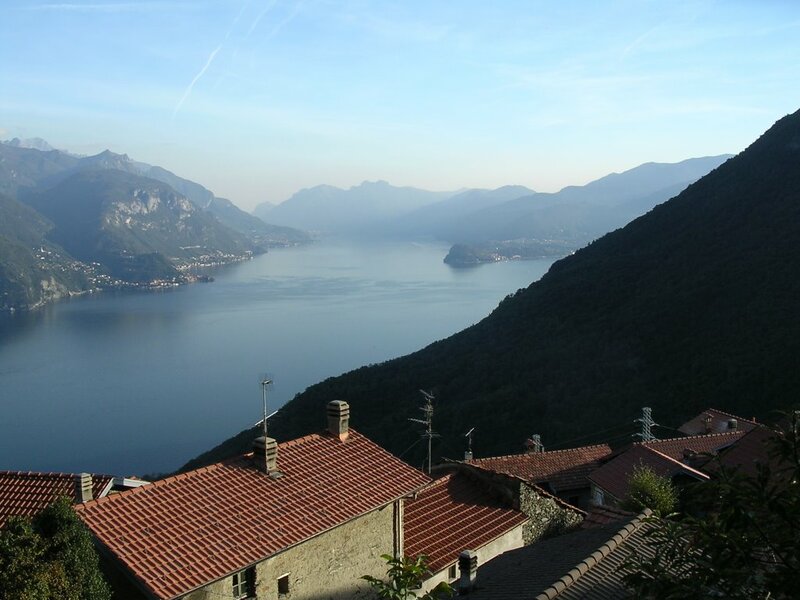 I am so thankful Alfredo left the beauty of Lake Como so that my family can be here now! View from Carcente. Photo added to Google Maps by Alelon 10 March 2008. Photo attached to Google Maps by Alelan 10 March 2008. Vistada Carcente. 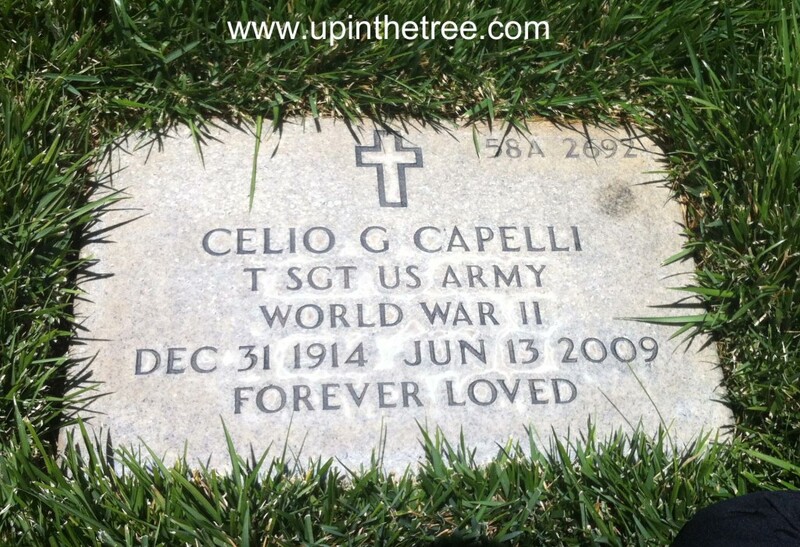 Jay Capelli is my grandfather. He passed away in June 2009. I found this photo of him in a file of family documents at my parents house about nine months ago. I believe that it was taken in his early twenties. It may even be the photo he needed for his naturalization application. I just love how happy he looks in this photo. I remember the twinkle in his eyes when he was happy and smiling.